Clearly iStamp: New Template/SVG releases at Doodle Pantry! New Template/SVG releases at Doodle Pantry! Thank you so much for following me through the last few months and all my closing down activities! So many of you have sent encouraging emails....what a blessing that has been! I'm so thankful to have sold out of most of my inventory and be on a new path that God has set forth for me! I'M SO EXCITED TO HAVE THE TIME TO DO SOMETHING CREATIVE!!!! I really do love creating SVG cutting files....I'm so excited to get started! I can't get one project done for starting to work on the next item! Crazy, huh? I think it turned out just adorable! Go to Wheelbarrow SVG and PDF file here! 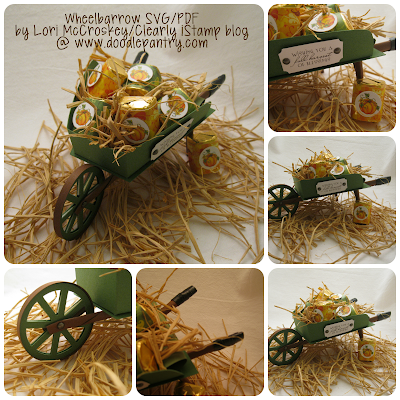 PDF finished wheelbarrow is: 7 1/2 in long, 4 in wide, 2 3/4 in tall. SVG size is adjustable. BEEEEEEEEEEEE-lieve me when I tell you that you are going to like this Cuttin' Up file! This set is perfect for scrapbook pages and cards! I have a beehive that you can use for scrapbook pages or make it the front your card! I have made svg papers too for you to enjoy in a honeycomb patten! The card front is easy to use ....just cut and put a digi image in the center! I will be posting samples of those a little later! Go to Bee-utiful Beehive SVG and PDF listing here! 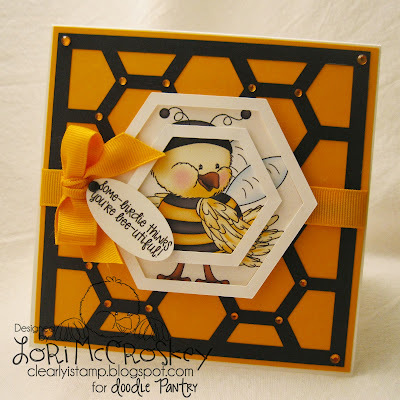 I used Laurie's Bee Birdie Digital Set at Doodle Pantry for this card! This set includes 9 layered SVG files and all PDF files for hand cutting. Awesome, Lori! You have totally hit the ground running! Oh my gosh these are wonderful! I am so happy that you are on the team and sharing your talent with us! So proud to hear that you got most of your inventory out of the way. Sure sounds like you are up and running again and enjoying the experience. So happy for you. So love this little project of you. 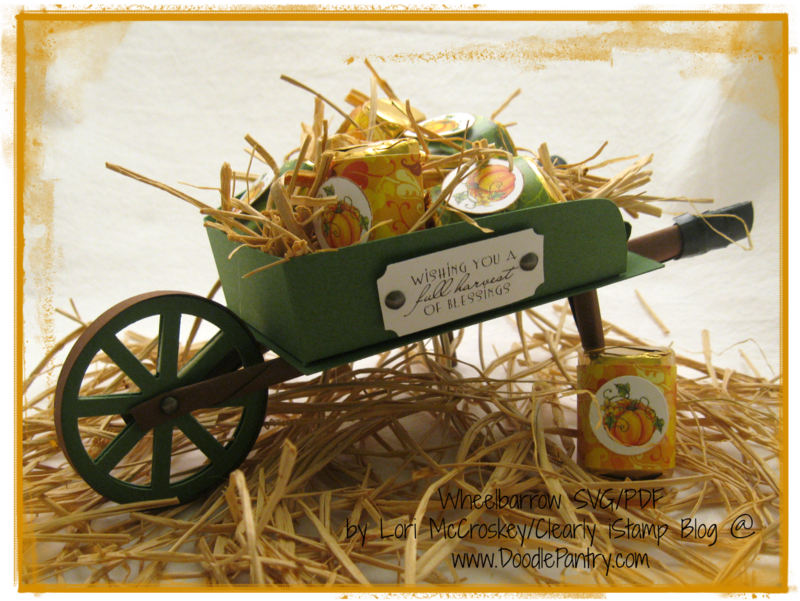 Would be awesome table center piece for Thanksgiving filled with fruit as well. Just beautiful.Hugs.